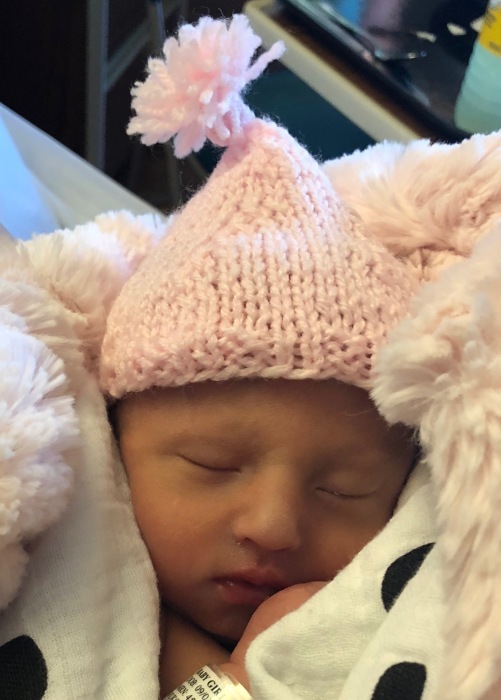 Ayven Grace Peeters was born on September 1st, 2018 in Fergus Falls, MN. She passed away in her parent’s loving arms and went to heaven on September 3rd, 2018. Our sweet, beautiful little girl and strong fighter was a miracle who blessed us with her presence. She was surrounded by family and love during her two days on earth and baptized into God’s kingdom. Ayven has inspired many people along her journey and she has touched us all in a way that will never be forgotten. Ayven will be missed dearly but remembered everyday by her family and friends. Her love and strength will continue to live on through her parents, C.J. and Nicole (Nord) Peeters and her big brother Everett of Fergus Falls; grandparents, Jay and Cindy Nord of Wolverton, MN, Jay and Pam Peabody of Beulah, ND, and Greg and Jody Peeters of Farmington, UT; great-grandparents, Wally and Bev Nord of Wolverton, Pete and Joyce Boss of Bruce, WI, and Gerald and Mary Peeters of Necedah, WI; aunts and uncles, Ashley (Clint) Malikowski of Baxter, MN, Erica (Brent) Halverson of Barnesville, Nicci (Bobby) Smude of Brainerd, MN, Aaron (Riplee) Peeters of Brainerd, and Amy Peeters (Clinton Strother) of Nisswa, MN; and her cousins, Bailey and Ryley Smude and Blake Halverson. She was welcomed into heaven by her great-grandparents, Duaine and Alda Raeder. Funeral Service: 10:30 AM Friday, September 7, 2018, at Glende-Nilson Funeral Home, Fergus Falls, with visitation from 9 AM to 10:30 AM at the funeral home. Arrangements by Glende-Nilson Funeral Home, Fergus Falls.